You’re not alone! Every single graduate/fresher goes through the same confused state at least once in their life. I’d like to believe that for every problem, there’s a solution. All you gotta do is find it or ask the next question which will ultimately lead you to the solution. What is the best environment for your personality type? Now surely you have come up with the best solution for our first question. You have chosen what you want to pursue as a career, and if it’s programming that you’ve chosen, I could tell you from my experience that Java is your best bet for a bright future. 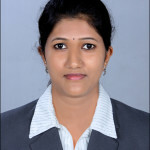 I’m Reshmi.R presently working as a Java developer at ATEES Industrial Training, Thrissur. During my post-graduation in Computer Science and Engineering, I got a part-time job as a training consultant and after graduation, I moved to Dubai and started working there in the same career. I believed that I can quit the job as a consultant at any time in the future to pursue a career in the software industry since I have my PG in CSE. But I was wrong, once I started working as a consultant, the years went by so fast and I felt stuck in there, not being able to follow my true passion ie, becoming a software developer. In the meantime, I was applying for jobs as a developer but I got rejected every single time because of the lack of experience in the software field. Finally, I decided that enough was enough and quit my job in Dubai and decided to do a professional software development course to bridge that gap in years. It was the best decision of my life. My advice for the freshers out there is to pursue the career you’re passionate about before it’s too late to switch. I wasted 4 years of my life being stuck in a career that I didn’t enjoy before I made the ultimate leap of faith. If I had made the decision sooner, I would’ve had that extra 4 years in my software developer resume and would have been a senior software developer by now. I hope you do not miss your chance like I did. It still wasn’t easy choosing the ideal programming language for me, as I got confused with all the programming language study options such as Java, PHP, Python, Android, iOS, etc. I spent hours each day researching to know which one suits me best. Fortunately for me, I made the decision of becoming a Java developer without being too late. First of all, a Java developer doesn’t merely program/code, he/she is involved throughout the software development lifecycle, i.e he/she must be able to analyze a problem, develop an efficient solution and integrate the planning to deliver great performance. Java was originally called “Oak”! According to the Java legends, the language was first named after a big oak tree that grew outside the developer James Gosling’s window. It was eventually changed into Java since the name ‘Oak’ was already taken by some other computer company. Gosling and his gang of programmers used to go to the local café to discuss names and wound up naming it Java after Java coffee beans. Java was invented by accident! While James Gosling was working at Sun Labs in 1992, he and his team were building a set-top box and started making changes to C++ and wound up with a new language and runtime. Thus ‘Java’ or ‘Oak’ came into being. Java is the second most popular language after C! Most programmers would argue that Java is the all-time favourite among developers, it is the second-most popular programming language after C. Java is ranked #2 in popularity among other programming languages, according to the programming languages popularity tracking websites. Java is the most used programming language by enterprises! According to surveys conducted, 95 percent of enterprises use Java as their default programming language. That is a lot more than C and other programming languages put together. Java practically runs on over 1 billion smartphones around the world today because Google’s Android operating system uses Java APIs. Google will tell you that “Java is an object-oriented programming language that has helped developers by simplifying the job of coding”. It’s a package of software products that you can use to develop application software and install it in a cross-platform setting. Java is used in various applications ranging from mobile phones and embedded devices to cloud computing servers and supercomputers. It’s a widely used software platform for the development of applications. Why did I choose Java? All these fun facts mentioned above inspired me deeply, but it was the history and the impact of this programming language in different fields that caught my attention and pushed me to make that final decision, of which I’m proud. Of course, there are many programming languages in the world, in fact, each year new programming languages pop up which are in some ways a modification to address the common problems found in popular programming languages. But what makes Java different? Java has been here for around 25 years! Yes, that means almost any question you can imagine has already been asked, answered, indexed, and democratically perfected through upvotes on the Internet. There are tools upon tools for just about everything you would like to do. There’s also an amazing community-driven process that ensures growth in the right direction. The IDEs available for Java will notify you immediately of any errors and will provide suggestions to reformat your code with clear explanations and extreme ease. After using them, most people wonder how they ever coded before. Java is running just about everywhere you can imagine. It’s usually used by many of the large applications due to its scalability, stability, and maintainability. 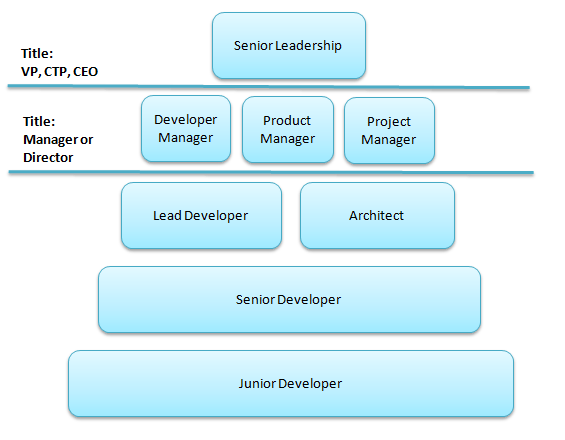 There’s also a gigantic push in the Java community to be the leader of the IoT (Internet of Things). And it’s coming, very fast. There’ll be a time in the near future when your alarm clock will automatically start brewing your coffee pot, and it’ll most likely be Java doing that. All Android Apps are written in Java. By taking a professional course in Android Development, you can publish that app you’ve always dreamed of building. Java can seem a bit intimidating at first. However, after learning the basics you’ll find that you can easily grab onto more advanced concepts because the code is very specific. Plus, there are great professional courses out there that can ease you into this powerful language. Where can we apply Java? Desktop Applications such as acrobat reader, media player, antivirus, etc. Web Applications such as irctc.co.in, Javatpoint.com, etc. What type of work would you be involved in? A Java developer is involved in projects that are run over specified time periods and is required to complete the tasks associated with that project. As a Java developer, you’ll be required to support the production environment and assist with defects that may arise. Although Java is used in different business units, they apply Java in different ways in order to accomplish a given task. For example, if you’re working for a bank, Java will be used in online banking web applications, cell phone banking, etc. Why should you consider pursuing a career in Java development? As any entry-level person, I too was looking forward to gaining experience in the field, I completed a professional course in Java development and started working as an intern so that I can work on live projects to expand my knowledge in the field. If you stick onto this field, you’ll see a sudden rise in your career. Due to Java’s widespread reach, there are tons of open positions waiting for you. Many different sectors embrace the language, and you can be pretty certain you’ll land a job in just about any job market you’d like. Once you nail a job as a Java developer you won’t need to feel alone. When I started working I was a bit nervous because I was afraid how I would perform as a Java developer. Luckily for me, I had many colleagues in my company who came to my aid whenever I was in doubt. So keeping a good professional relationship with your fellow developers will be a bonus when you’re in the first few months of your new career. How much can you earn as a Java developer? For a Java developer pay is always great which will let you live a luxe lifestyle. As in any other career, your experience will be the determining factor for your salary. Due to the enormous opportunities for a career in Java, skillful developers are always in demand. Even a fresher with a professional Java training certificate can land a high paying job. 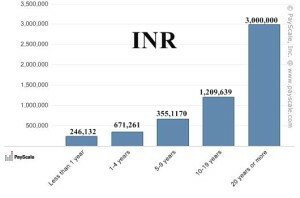 Check out this detailed payment graph to see how the income changes with experience in this field. Every 1-2 years your income will double, which will assure you can live the life you’ve always dreamed of. With lots of growth opportunities to obtain experience & career progression, Java is the best programming language you can choose to study today. 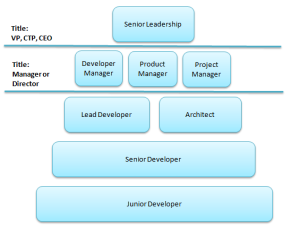 What’s the career progression path? Surely, this career progression path is not set in stone, and the time frames can depend a lot on your programming skills. How to start your career as a Java developer? As in the case of any other career out there you can’t expect to build your future without proper foundation. You’ll need to do a basic course in Java development first before you can get into programming. Then a more advanced course will help you be a skilled Java developer. Anyhow, you don’t need to do separate basic and advanced Java courses. There are many training institutes that are dedicated to providing proper Java training by including Java basics and advanced Java in a single affordable course package. You only have to pick the best one that will develop your skills in a way that you want, from the many available. How to gain experience to grow? From the annual salary graph, you would have noticed that the pay is getting doubled almost every two years, that’s how much scope this field has today and is likely to never go down in the future. And your pay depends on your experience and/or skills. So getting experience is the first and foremost thing you need to focus upon, once you complete your training. I would suggest getting an internship shortly after training completion without any gap between training and the first day of your internship. There are some unique institutes that offer training with an opt-in internship with which you can work on live projects to expand your knowledge and skill. Learning while you earn is the way to go to achieve great heights as a Java developer. I hope this blog helped to know a bit about Java developer career, I’ve tried to give a simple introduction to how it means to be a Java developer. Subscribe and follow to get the first look on the next blog in Java. Also, let me know of any suggestions that you have in comments so I can take them into consideration for my next posts. How training improves your skill? ©2015 All Right Reserved ATEES Industrial Training .